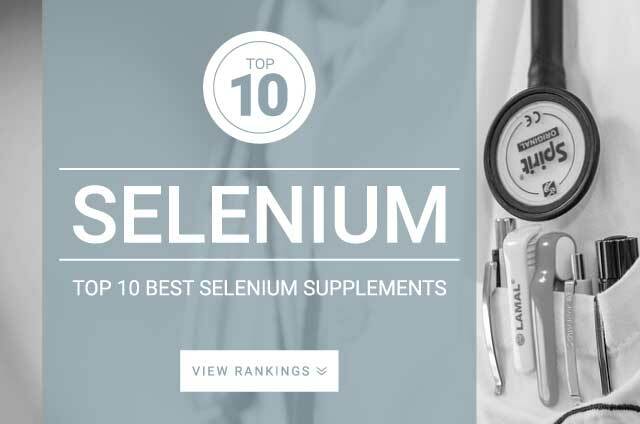 Onlinestrength analyzed 10 best-selling Selenium supplements in the United States for selenium content and heavy metal (arsenic, cadmium, lead, mercury) contamination. Supplements that failed to follow FDA regulations were were penalized accordingly. Selenium is a trace mineral found in certain foods and is used by the body to produce glutathione peroxidase. Glutathione peroxidase plays a major role in the body’s antioxidant and immune system defense. Selenium increases antioxidant capabilities and improves quality of blood flow, therefore boosting the body’s resistance against free radicals and diseases. Selenium is touted to help reduce inflammation and lower free radical damage. The daily Upper Tolerable Intake Level (UL) for selenium, is 400 mcg for adults. It should be noted that most healthy adults already receive on average 100 mcg of selenium through diet alone so its important to take note of this when deciding on how much more selenium you should supplement.